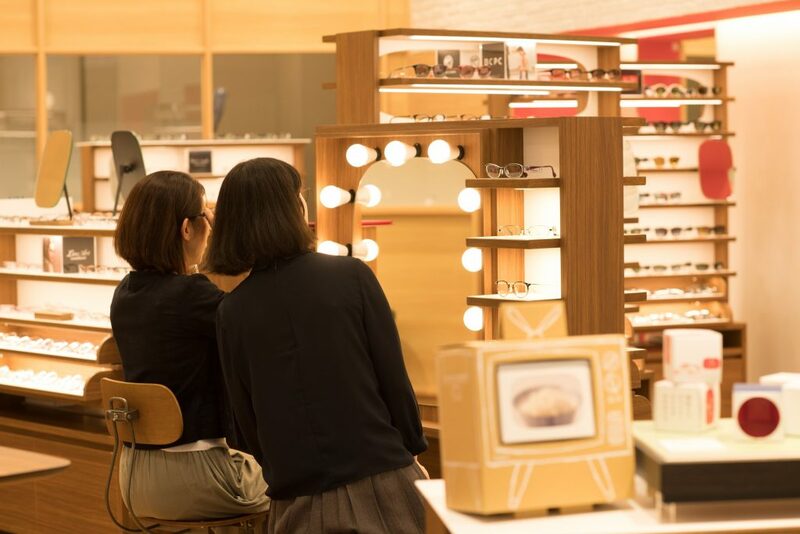 Tanaka Optical Holdings Company Ltd.
To encourage more customers to discover the joy and pleasing, Tanaka glasses offers services as a spectacle specialty shop at all stores. Tanaka's service of eyeglasses has been created based on the spirit of "semi-canalist" since its founding in 1913. In other words, the eyeglasses, hearing aids, and contact lenses that we deal with help to make the functions essential for human life such as vision and hearing work comfortably, and the stores involved in it hold great social responsibility. Based on the spirit of "semi-doctor dealer", each employee provides all customers with Tanaka's quality service of glasses, with two main services as the pillars. 外国人採用歴あり　各店で活躍いただいています。Foreigner recruitment history. Foreign employees are actively working in all stores. Through eyeglasses and contact lenses, "providing surprises that can be seen, pleasures to see", "providing audible surprise, talkable joy" through your hearing aid will "making every day more brighter". Tanaka of glasses inherits the "Tanaka DNA" that strives to improve the technology and services cultivated over many years, while continuing to evolve according to the change of needs every day. I would like the entire time spent in Tanaka of glasses, not just products, to be a valuable experience for our customers. Towards the next 100 years, I will continue to proceed as one "One TANAKA" all in one thought of all employees. With the aim to become "the most enjoyable eyeglasses specialty store which you can choose in Japan", we at Tanaka, founded as the only eyewear specialty shop in Hiroshima in 1913 (Taisho 2nd year), and since then for over 100 years we have been striving to "customers with superior quality products and services, customers' pleasure" we have inherited it throughoutly. Currently there are about 120 stores accross Japan. Through sales of eyeglasses, hearing aids and contact lenses, we provide customers with "surprisingly visible, joyfully seen", "audible surprise, talkable joy". To encourage more customers to discover the joy of pleasing glasses, Tanaka Glasses offer services as a spectacle level at all stores. Tanaka's service of eyeglasses has been based on the spirit of "semi-canalist" since its founding in 1913. In other words, the eyeglasses, hearing aids, and contact lenses that we deal with help to make the functions essential for human life such as vision and hearing work comfortably, and the services of spectacle specialty stores involved a great social responsibility that we believe. Based on the spirit of "semi-doctor dealer", each employee provides all customers with Tanaka's quality service of glasses, with two main services as the pillars. 残業手当、出張手当等. Overtime allowance, business trip allowance etc. Waiting for you to positively challenge yourself for a colorful life. Today our group of Glasses Tanaka Group has made major changes towards a new future. Our company which many new ideas and inspiration are given every day. We would like to do this for customers coming to the store. We would like to create this kind of thing. Even if it is small, no matter how magnificent it is, it is greatly appreciated. We are fully supporting your positive challenge so that we can turn our vision to reality. English proficiency over business level, Japanese proficiency over N2 level. "Challenge & Passion" for bringing back the exciting experience "TANAKA experience" to customers. With this theme in mind, we are waiting for you, who can rejoice with each other as well as ourselves. Let's take a colorful life together with Tanaka glasses by all means.